After a long day travelling, we couldn’t wait to arrive at our hotel in St Petersburg, the recently opened Hotel Lotte. We received a lovely warm welcome from the Hotel Lotte staff who very kindly praised our poor attempts to say zdravstvuj “hello” back to them in Russian. Well, you have to try, don’t you? View of the Lotte Hotel Saint Petersburg from a Boat! The Hotel Lotte opened in September 2017. 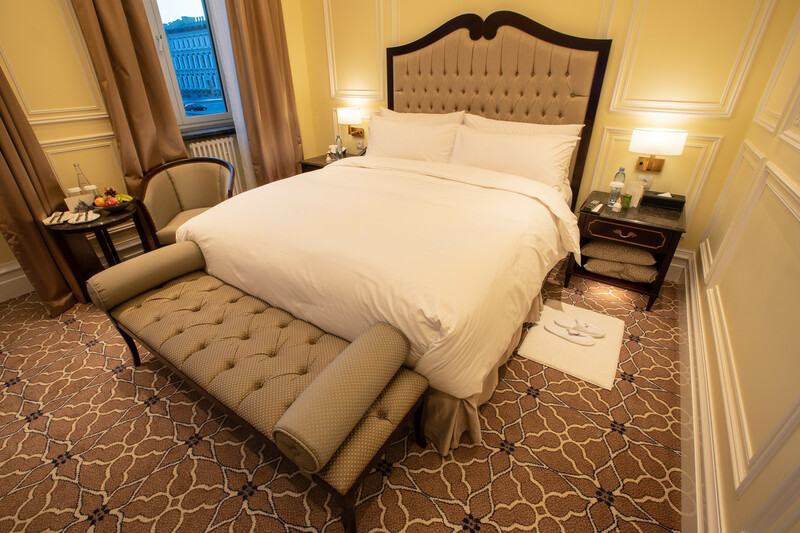 This charming new five-star hotel, one of the ‘Leading Hotels of the World’ is located in a former mansion right in the heart of St Petersburg on St Isaac’s Square. The building dates back to 1802 and apparently was once the home of John Quincy Adams, the first US ambassador to Russia and later on, the sixth President of the USA. I do love hotels with a bit of history! We had to wait a few moments before we could check-in, but it gave us the chance to admire the very fancy lobby with its giant chandelier made from Murano glass, and it’s great painting of the Church of Our Saviour on Spilled Blood. The reception staff at the Lotte Hotel were amicable, professional and spoke beautiful English. Phew, as we only knew how to say yes, no and hello in Russian, but hopefully we will pick up a few more words as the week progresses. Since we were travelling during the “shoulder season,” we were upgraded to a Premier Room – one of the many perks of travelling outside of peak times. Dmitri, the bellboy, took us up to our room which was located on the second floor. Since the room was very close to the lift, I was a little worried as in some hotels rooms near elevators can be somewhat noisy from all the traffic, but once we were inside our room, we never heard any outside noise at all. We couldn’t even hear traffic from outside and our room had a great view overlooking the busy St Isaac’s Square. Our Room at the Lotte Hotel! Apparently, there are two different room styles in the hotel – classic and contemporary. The ‘classic’ rooms are found on the second and third floor. Our ‘classic’ room was large by European standards and featured a very comfy king size bed. Having been on the go since 4 am, the bed looked very inviting, (there was even a pillow menu offering 11 different types of pillows,) but we were more than happy with what was already there. Far more plush looking, than ours at home. Beside our bed was a lovely fruit plate with grapes, dragonfruit, starfruit, bananas and oranges, with a handwritten card welcoming us to the hotel. The large flatscreen TV was on welcome mode, already set to English Channels with a personal greeting. I love these little touches. 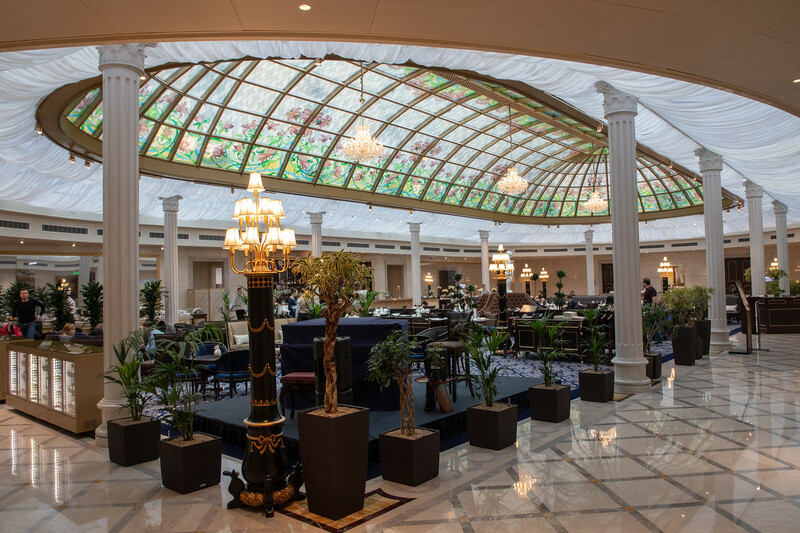 Even though the room was beautifully decorated in classic style, the facilities were very modern. There was a digital control smart pad that even a non-technical savvy person like myself could use; which operated the lighting, heating, ‘do not disturb’ sign etc. at a press of a button. WiFi was complimentary and fast. The rooms came with a Nespresso coffee machine and tea making facilities. A safe was provided in the wardrobe – again easy to use; you wouldn’t believe how many electronic safes I have accidentally “broken” over the years. And the bathroom, what can I say? It was beautiful. 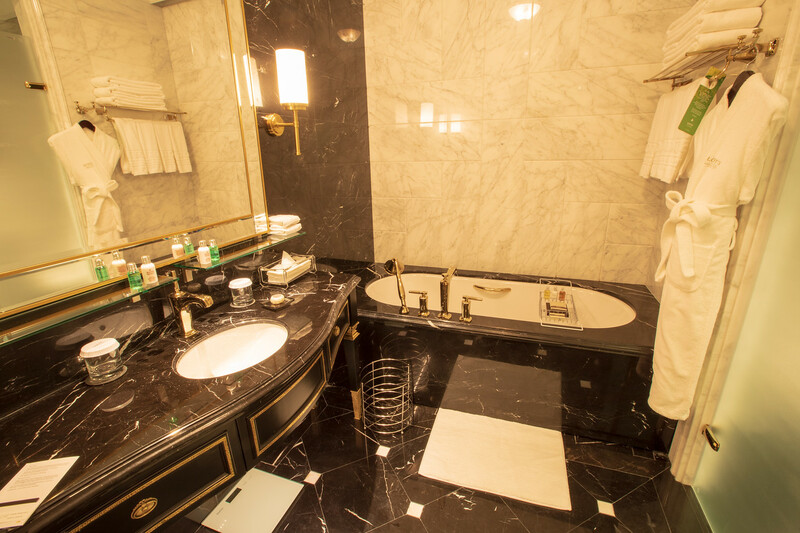 A huge bathtub, a separate rain shower and Japanese style toilet. With fluffy towels, comfy dressing gowns, slippers and my favourite Molten Brown accessories, I didn’t want to leave. But as it was still early evening, we decided to head out and explore the neighbourhood. 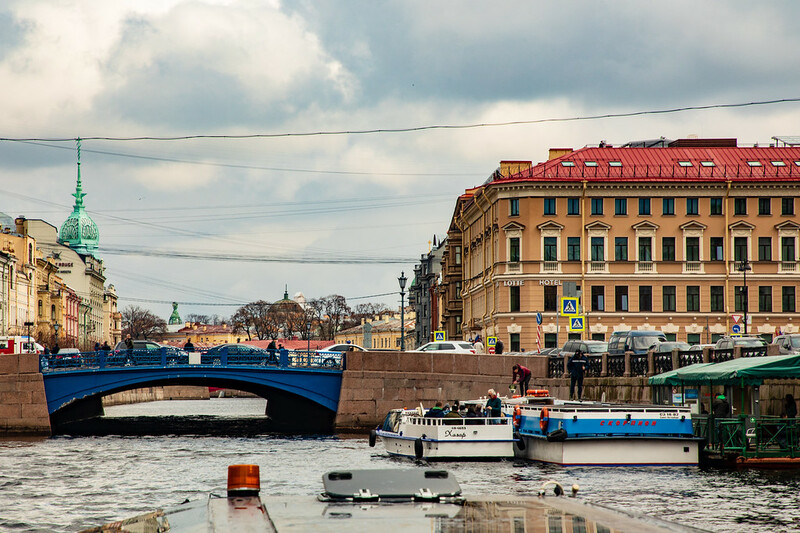 Being so centrally located, we were just a short walk from many of St Petersburg’s major attractions and shopping streets. Fortunately, there’s an ATM conveniently located on the basement level of the hotel, so no need for the usual hunt down the nearest bank before heading out to explore. 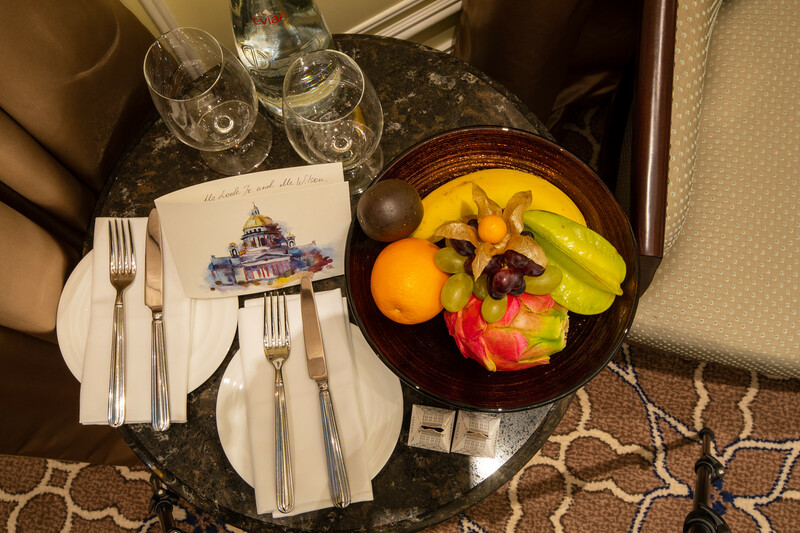 If you feel that you have eaten too much of the amazing Russian food or maybe haven’t walked the streets of the city enough during your time in St Petersburg, the hotel does have a gym and a small swimming pool. Or if in need of some total relaxation after a day exploring the city, the hotel has a spa. 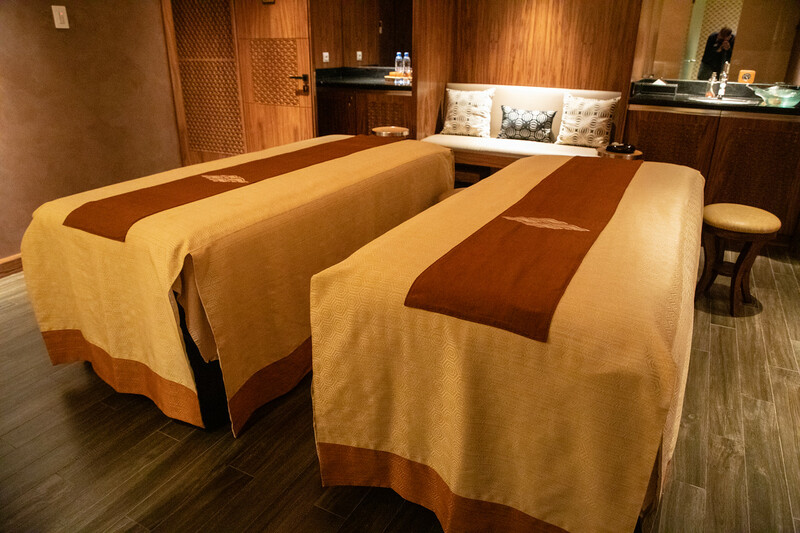 The spa menu looked amazing, and the smell of lemongrass in the spa venue was divine, but sadly we did not have enough time to experience this for ourselves, maybe you will. When the time arrived for us to leave, several members of the Hotel Lotte staff came to the curb to wave us off, help us with our luggage and made sure we got into the right Uber. We were sad to be leaving St Petersburg, it was a beautiful city, and we hope to return one day. But now, another adventure awaits. The night train to Moscow! Note: Jonathan and I were the guests of Strelka Travel during our 2018 Russa visit.